You will find quite a few Scottish Irish merchants online these days. And that is not surprising when you consider the sheer numbers of Americans and Canadians, who can trace their heritage back to Scotland and Ireland. Not to mention Australians and New Zealanders, even Argentina has large numbers of residents who claim Scottish and Irish heritage. In fact over nine million Americans can claim Scottish descent, while an astonishing thirty six and a half million can claim Irish ancestors. With these sorts of numbers it is no wonder that there is such a vast market for all things Scottish and Irish. If you would care to visit the web site of the finest Scottish and Irish merchant in America, and I highly recommend that you do, then simply follow the link to her site. 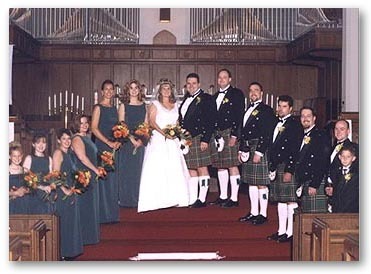 There are actually more Americans wearing Scottish Highland Dress, than there are Scots, and most Irish tartans have actually been developed for the American market, and are rarely seen in Ireland. And for that reason alone it is clear why there are so many Scottish Irish merchants both with retail premises, and online. Now I am not going to attempt to provide you with a long list of such merchants. Instead I'm going to concentrate on the one that I consider to be way above all the others in terms of quality products, and personal customer service. The Scottish and Irish merchant that I refer to here, has the most wonderful high quality range of products to be found anywhere in the United States or online. And it is a testament to their commitment to quality and customer care that they have succeeded in becoming stockists of many of the finest brand names in the world. These names include Ogham Jewelry from the Orkney Islands, timeless Moorcroft Pottery, Claddagh Wedding and Engagement Rings. They supply made to measure Kilts and Kilt Packages, made by some of Scotland's finest kilt makers, also Great Kilts and tartan fabric by the yard. For one couple's Irish wedding, they even designed an exclusive tartan for the Groom and his Best Man, and had the tartan specially woven for the big day. You can see a group wedding photo below. The rest of the Groomsmen are wearing the Irish National Tartan. They are also proud to be stockists of the finest waxed jackets money can buy, and represent Barbour Clothing, whose legendary jackets last for decades. Their range also includes Barbour Bags and Luggage. They also stock Nicholas Mosse Pottery, County Kilkenny's handmade dinnerware, also exquisite Heritage Irish Crystal, to which nothing can compare. So having whet your appetite for the highest quality Scottish and Irish merchant there is in America, I recommend you go there now, and enjoy her web site.